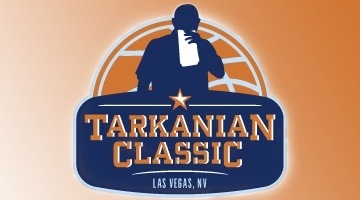 Las Vegas, NV – MMHR were able to observe Championship Saturday at the 2nd Annual Jerry Tarkanian Classic hosted by Bishop Gorman High School. *La-Vette Parker(2015) Mater Dei HS(CA): A combo guard who plays Robin to Stanley Johnson’s Batman. Friday against defending California Division 2 State Champion Redondo Union, Parker demonstrated his shooting prowess by hitting(6 of 10) 3 pointers. He finished with 22 points. Parker demonstrated a quick shot, nice elevation on his jump shot, and shooting form. *DaShawn Hill(2014) Lynwood HS(CA): The 6’8″ forward reminds me of Jordan Bell, former Long Beach Poly and current Oregon player. Hill is athletic, bouncy, and a shot blocker. *Zach Christian(2015) Lynwood HS(CA): A 6’6″ wing still growing, Zach looks like a young Grant Jerrett. He plays a similar game of pick and pop. Down the road he could develop into a stretch 4. *Paul Washington(2017) Prime Prep Academy(TX): This young post player has major upside. Paul is very long. Already, he is an elite shot blocker.